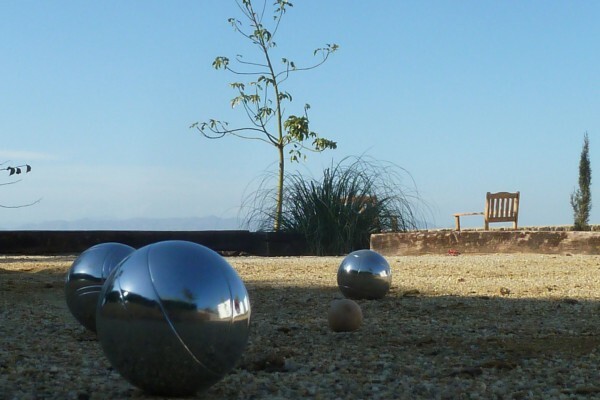 In Cortijo El Sarmiento in Andalusia, you can enjoy a holiday to your heart’s content – guaranteed. 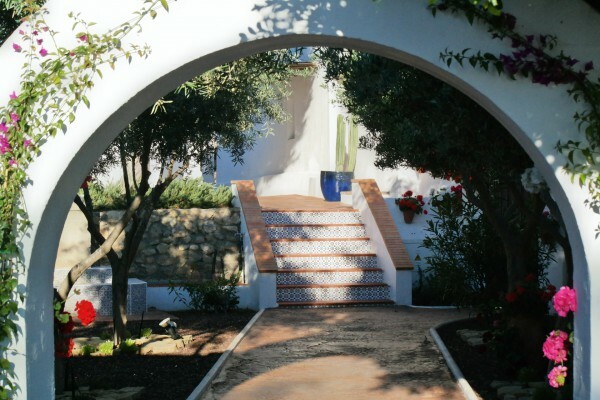 Immerse yourself in the absolute tranquillity and nature surrounding our small country hotel at the gates of Mojácar and only 10 minutes from the beach. In our Bed & Breakfast rest and relaxation come first. Therefore we have consciously decided to be a child-free hotel. Starting from €90/night including breakfast, you can spend your perfect gourmet holiday with us. To make your holiday perfect, we have 7 double rooms waiting for you, furnished individually and in the typical local style, and there is also a large pool for you to enjoy. Here, you will find the perfect place to relax and enjoy yourself in a friendly atmosphere – whether eating a hearty breakfast with home-made jams and a wide selection of fresh local products or a three course evening meal with matching Spanish wines. You will find plenty of materials and pictures to browse through and dream about in our photo gallery or on our Facebook page. We look forward to your stay and promise an unforgettable holiday experience. 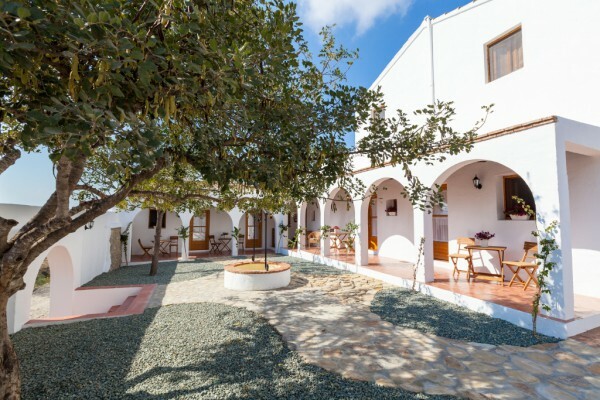 Our Cortijo has 7 rooms at its disposal, each with room for two people, all of which are furnished with a walk-in shower, a comfortable king-size bed (180 x 200cm) and a safe. 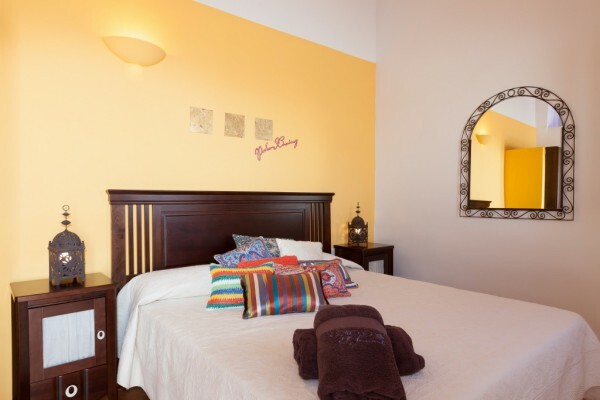 Moreover, every guest room has air conditioning and central heating as well as a separate patio. Hairdryers and bath towels for the pool or beach are supplied by us. You can’t have breakfast in Spain without Spanish coffee and churros or porras. “Pan tostada con aceite” – toasted bread with olive oil and salt – is also part of it. Because the typical Spanish breakfast is not very hearty, we provide everything that the European breakfast time has to offer – including scrambled eggs, cold cuts, delicious home-made jams and honey, cereals and much more. For our breakfasts, we use seasonal fresh products from our local farmers. This gives you the best possible start to set you up for the day ahead, every day of your holiday. In addition to our hearty breakfast, we occasionaly offer an irresistible 3 course dinner menu, with matching wines on request. For dinner, too, we work closely with local farmers and use their freshly harvested products. Whether on balmy summer evenings on our large terrace or on cool evenings with a crackling open fire: choose a wonderful holiday with a sumptuous and delicious meal in a friendly atmosphere. No experiences yet with Cortijo El Sarmiento. Be the first! Did you stay in Cortijo El Sarmiento? Let us know what you thought about it and help others to make the right choice! * I confirm having stayed in Cortijo El Sarmiento. 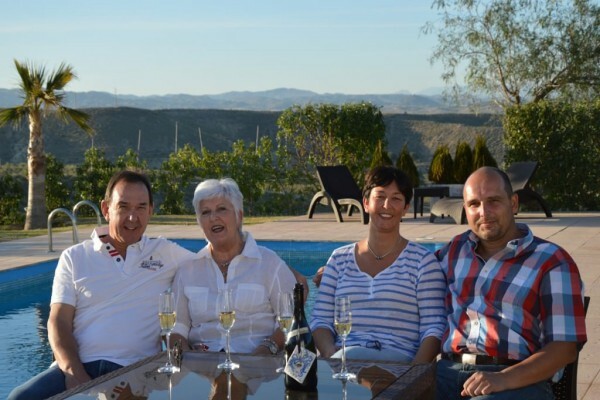 Find other bed & breakfasts in Mojácar or all bed & breakfasts in Andalusia.